I have shared the story of Subbly on multiple podcasts. But I thought it was time to share it in writing, not everyone listens to podcasts. Why do I think it's useful to share this? Others might be wondering how they can start and bootstrap a business. Follow the titles for clear steps on bootstrapping a business. Rewinding 3.5 years 😳 I used to run a digital agency. My background is in overall digital marketing: design, search marketing and development. I am the true definition of a jack of all trades. 1) The problem presented itself - Almost a "Scratch your own itch" business. She wanted to start a subscription box specifically for a juice cleanse business. I was already aware that subscription boxes were becoming more popular but this forced me to research it more. I was a subscriber of Graze box, who wasn't? And I was very familiar with the success of the Dollar Shave Club. Again who wasn't. So I got started on my research, her budget was fixed and we weren't going to be able to develop anything from scratch for it. I searched... and searched... and searched. But NOTHING came up. Literally, just APIs and overly complex solutions we'd need to do a lot of heavy lifting with, which is exactly what were trying to avoid. 💡! ...and thus the idea of Subbly was born! The name was set within a day and the first brand image was crystal clear in my head. Fortunately as a creative sort that sometimes comes easily to me. But not to worry if you're not, check out Fiverr and UpWork. I have an unfair advantage. I know how to code. That doesn't mean you need to learn, it would definitely help! But you can find a co-founder who can or again check out affordable developers on UpWork or similar. Ok so the goal at this stage for me was to create a very basic version of Subbly. I didn't even know how it would work or look. I just got started. An MVP is all about getting a minimum working (viable) product up and running to validate your assumption for the demand of the solution you propose (the product you build). It took 3 months roughly. Round the clock development. Building the first extremely bad and embarrassing first version of Subbly. (I hear that means I did it right in terms of being LEAN). We launched. At the same time I spent some time investing in content and making sure we were ahead of the curve. It paid off. Something you can do without spending money, just your time and hard work. And we got feature on Product Hunt! 🎉 (Subbly on PH). This was awesome as we didn't even know what it was then and it was a perfectly romantic story as the perso who "hunted" us was from Edinburgh in Scotland 🏴󠁧󠁢󠁳󠁣󠁴󠁿(where I'm from). And from there we got our first paying customer!!! What a moment. And that's when I knew we had demand for what we were working on. Note I say "we", it was mostly me at this point in time, I was working with my team from the agency from time to time on it. Couldn't have done it without them. As a small business (at the time side project), I had the luxury of talking to customers in depth. This is where I learned what they needed. What they didn't like. What they wanted etc. This is truly critical for improving your product to get product market fit. Take advantage as a founder at these early stages to get on the field and involved with your customers. It's paid off for us, checkout our reviews about Subbly. From there we kept iterating the product based on customer feedback, and making assumptions and validating them. 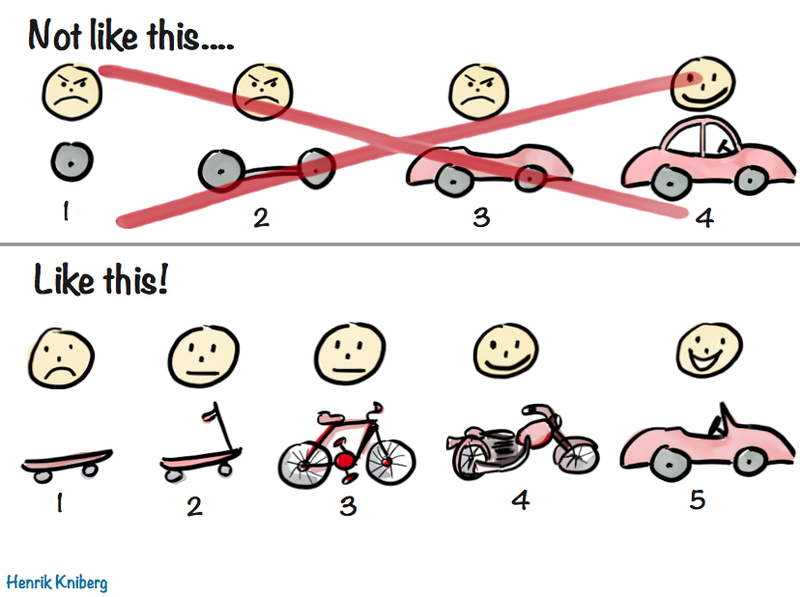 FYI this is called the "lean" startup approach, I found that out later. But it's a smart way of starting a business. There's a book on it. Yeah so to date Subbly is bootstrapped. This was a decision on my part and you can read our current manifesto here on why I chose to be bootstrapped. Main reason is, I didn't have money to invest personally. And I was told equity is everything by a mentor who I really looked up to, and it stuck in my head. 100% of a $1m co is the same as 10% of a $10m co.
No you don't need to raise, if you have the skills in your team (or yourself) and just invest the time. But when it comes to if you should, it really depends on the market your trying to take on, your values and your goals. Maybe a post for another day. But for me, I wanted to prove it could be done, and I wanted to make sure we were focusing on the customers pocket and not the VCs pocket, whilst having full freedom to do what we want quickly. Yes the path has been longer and harder in many ways, but worth it? 100% yes. At the very least I stuck to my personal values. If you liked this post then please like Subbly on Facebook, and tweet us on our Subbly Twitter mentioning what you liked most about this story and article! Don't forget you can follow me on Medium. Scottish Tech Entrepreneur. Founder of Subbly, previously founded 4 other businesses. I live and breath business and internet with a serious penchant for psychology. Follow me for more!